D. K. Lindler had spent most of her working life as a commercial real estate broker. But when leadership changed at the hospital where she was the director of real estate, she seized the opportunity to do something meaningful and creative. A German shepherd puppy named Chaco had come into her life and he became the catalyst for change. He had an auto immune disease and conventional medicine wasn’t helping him. Unable and unwilling to accept this situation, she took it upon herself to investigate alternative medicine for him. 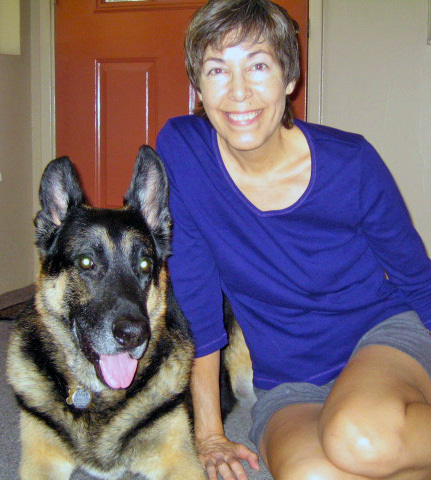 That began her journey away from real estate and into herbal medicine and organic food. Determined to help this puppy, she became an herbalist and opened a store to help more people and animals. Chaco improved and lived 8 wonderful years. Then, after 9/11, with the sinking economy, she closed her herbal store. Wanting to explore an entirely different direction, she remembered how she had enjoyed writing plays in French, and short stories, in high school, and decided to write again. Thus she began her writing career and has spent the past 10 years in this pursuit.